Billy Graham passed away early Wednesday morning. Dozens of news outlets arrived at the Billy Graham Evangelistic Association headquarters in Charlotte, North Carolina, to report of Billy Graham’s passing from his home in Montreat, North Carolina, to heaven. >> Read Franklin Graham’s tribute to his father. Born William Franklin Graham Jr. on Nov. 7, 1918, Billy Graham was 99 years old. He is survived by his sister, Jean Ford; his five children—Gigi, Anne, Ruth, Franklin and Ned; 19 grandchildren and many great-grandchildren. A motorcade will depart the Billy Graham Training Center at The Cove in Asheville, North Carolina, on Saturday, Feb. 24, making its way to the Billy Graham Library in Charlotte around 3 p.m.
>> Get details on the motorcade, including recommended viewing areas along the route. On Monday and Tuesday, Feb. 26-27, Mr. Graham will lie in repose inside the Graham Family Homeplace, located on the grounds of the Billy Graham Library. His casket will remain closed. The lie in repose period is open to the public and will run from 8 a.m. to 10 p.m. each day. This schedule may be adjusted if necessary. No on-site parking will be available to the public during the period of lie in repose. All public parking will be accommodated at the nearby Operation Christmas Child Processing Center at 7100 Forest Point Blvd. and at the Charlotte Business Valet, Lot 2 at 5613 Wilkinson Blvd. Complimentary shuttles will run continually from these lots to and from the Graham Family Homeplace, with the last shuttle departing 30 minutes before the public lie in repose closes. A private funeral service will be held for Mr. Graham in front of the Billy Graham Library on Friday, March 2. It was Mr. Graham’s explicit intent that his funeral service reflect and reinforce the Gospel message he preached for decades. “He preached one message for more than 60 years—a very simple message of the Gospel, Jesus Christ,” spokesperson Mark DeMoss said at Wednesday’s press conference. Following the funeral service, Mr. Graham will be buried beside his wife, Ruth, at the foot of the cross-shaped brick walkway in the Prayer Garden, on the northeast side of the Billy Graham Library. Ruth Graham died June 14, 2007, at age 87. In an interview with CNN during a New York Crusade late in his ministry, Billy Graham was asked how he wanted to be remembered. 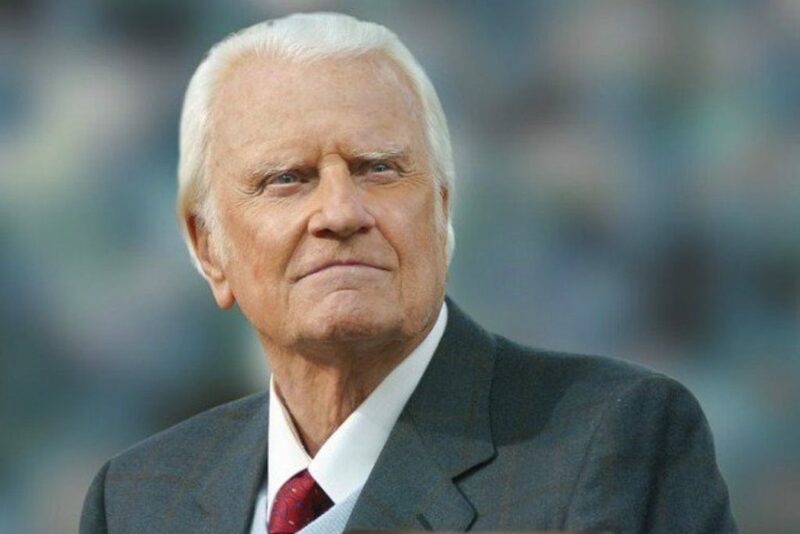 Share how you will remember Billy Graham.